Top of an old church. 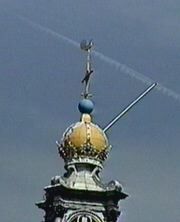 We never did figure out the purpose of the flagstaff-like pole sticking out the side of the crown. 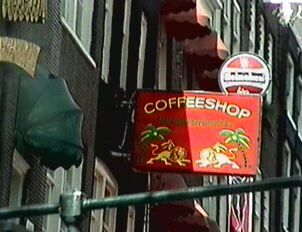 This town is full of these coffee houses, but whatever they're brewing in there does not smell like Java.